Located in the heart of western North Carolina, Waynesville is the county seat of Haywood County. The Curtis Sluder Law Firm has been protecting the rights of defendants in Haywood County since 1998. The majesty of the mountains of Haywood county is only matched by the character of the people. It has been a true pleasure of our firm to represent and work with both residents of and visitors to Haywood County, and we look forward to many more years of protecting your rights. At The Curtis Sluder Law Firm, we work hard to explain your case to you, the options you have available, and the risks and benefits of each choice. When we represent you, you have a lawyer you can trust. 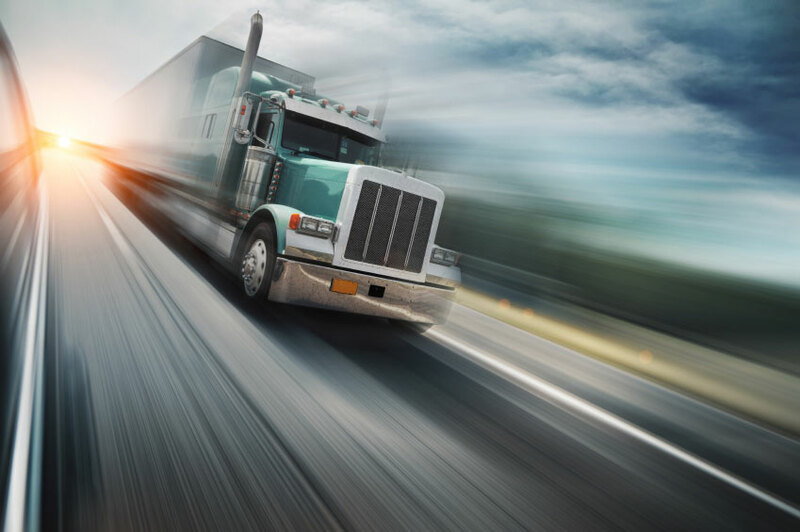 The Curtis Sluder Law Firm has defended the rights of thousands of commercial drivers since 1998. We understand just how important a CDL is- it is your job- your family depends on you, America depends on you, and you depend on your ability to drive. Truckers are not only the backbone of the US economy, they are a focal point of our law practice. We work with several commercial driver insurance plans, legal insurance companies, and NC State Bar approved lawyer referral programs. We understand how your charge affects not only your license, but your Federal CSA points. We work hard to protect you on both fronts, to keep you driving, to keep America working. Haywood County is in the 30th Judicial District of North Carolina. The 30th District encompasses Haywood, Jackson, Swain, Graham, Macon, Clay, and Cherokee counties. This is a large district, but we deal with the same group of judges and District Attorneys in each county on a regular basis. The elected District Attorney, Ashley Welch, was an assistant District Attorney under Mike Bonfoey for several years, and prior to her service in the 30th District, she was an assistant DA in Henderson County, under DA Jeff Hunt. I met Ashley when she first started practicing in Hendersonville, and am glad to see her taking the reigns of the 30th District. In my experience she is a fair minded individual, and look forward to working with her and her assistants as they develop policies and practices. Typically, Haywood County holds criminal and traffic court on one Monday each month, when Canton cases are heard, on each Tuesday, when most “serious” Highway Patrol Cases are scheduled, as well as many Waynesville PD and Haywood County Sheriff Department Cases. Domestic criminal, assaults, and “civilian witness” cases are usually scheduled on Wednesday and occasionally Thursday. Friday is typically “MTV” (Motor vehicle) day, and court is a “drop in” court but ends at noon. District court starts each day at 9:00, although the District Attorney handling court is usually available as early as 8:30. If we are representing you on a traffic case, often we will have a “waiver of appearance” for minor cases, meaning you will not have to be in court. If you have a more serious case and we are not representing you by waiver, please be in court by 9:00 and have a seat. Typically, District Criminal or Traffic court will be held in courtroom #2 on the second floor of the Haywood County Justice Center, 215 N. Main Street, Waynesville, NC. 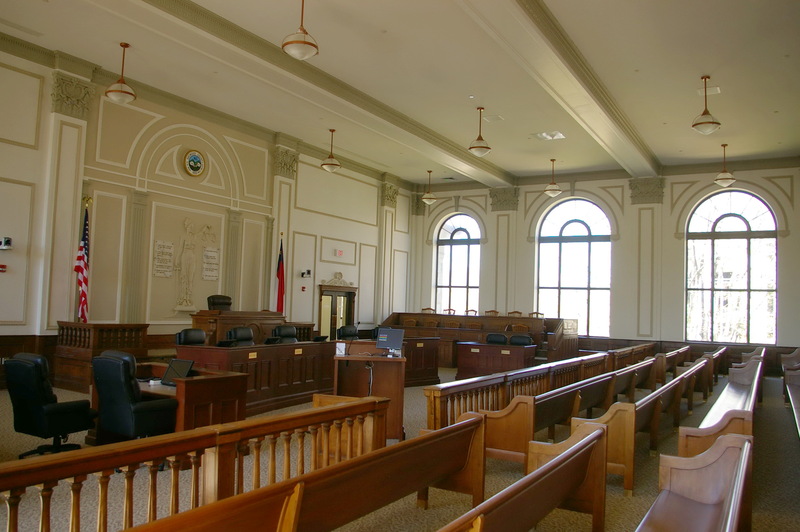 The Curtis Sluder Law Firm frequently handles cases in The 30th District, particularly in Haywood, Jackson, Macon and Swain Counties. Some of the cases we regularly represent defendants on are traffic and criminal matters, such as speeding, reckless driving, DWI, and driving on revoked licenses. We also represent many defendants on other felony and misdemeanor offenses, such as drug charges, assaults, weapons charges, and related criminal offenses. The Curtis Sluder Law Firm has focused on traffic defense and criminal law in Haywood County for more than 15 years, and was the first law firm in Western North Carolina to have a dedicated traffic practice. We has defended thousands of cases involving criminal offenses, traffic charges, and other infractions occurring in Waynesville and Haywood County since 1998. Contact us to discuss your case. We offer free consultation by telephone. Please call us to see how we can help protect your interests and defend your rights. Almost no case is taken as seriously as Impaired driving in North Carolina. Most persons charged with serious felony charges in North Carolina have far more options available to them than persons charged with DWI. Even if you have no record at all. This is simply a result of the overly aggressive DWI lobby led in North Carolina by MADD, continually pressuring the legislature to enact stricter penalties for Impaired Driving. Since 2007, each session of the legislature has enacted some form of new legislation making DWI a more serious crime and chiseling away at the Constitutional Rights of the defendant. If you are charged with DWI, you need an experienced, informed, aggressive attorney on your side. Even though I expect the district attorneys office in Haywood County to be fair and reasonable, the very political nature of DWI makes it a difficult charge to defend. DWI in North Carolina does not get “pleabargained” to lesser offenses. North Carolina Law requires the district attorney to prepare a lengthy written explanation for any change to, or dismissal of, any “implied consent” (alcohol- related) charge. This long written form is then filed as a public document that the “courtwatchers” have access to and keep tabs on. Of course, this means that as a practical matter no elected official is going to make any modification or dismissal of a DWI charge except in the most rare circumstance. Therefore, when you are charged with a DWI, you can expect that the case is going to proceed “as charged”. You will either be found guilty, or not guilty, of what you are charged with. At the Curtis Sluder Law Firm, we aggressively look for any error made by law enforcement, magistrates, or other individuals involved in your case. We start by critically examining the reason you were stopped based on the most current legislation and case law. The officer must have made initial contact either through a consensual encounter, reasonable suspicion for a traffic stop, or a properly conducted license check. If the contact phase passes scrutiny, we explore all known factors that may or may not have given the officer probably cause to make an arrest. This includes proper field sobriety tests given according to standards established by The National Highway Traffic Safety Administration (NHTSA). Other factors the officer considered in forming his opinion of your condition and decision to arrest are also explored in depth. Once the decision to arrest has been made, the information that may have been presented to the magistrate is reviewed, rights forms are examined to be certain you were afforded your rights prior to an intoxilizer test. Procedures must have been followed in administering the test, and certain legal requirements must be met in allowing for your release from custody after your arrest and initial appearance before the magistrate has been completed. There are hundreds of possibilities to explore in every DWI case- and this is just the guilt or innocence aspect of the case. Drivers license implications, DMV penalties, sentencing requirements, and costs also factor into each case. 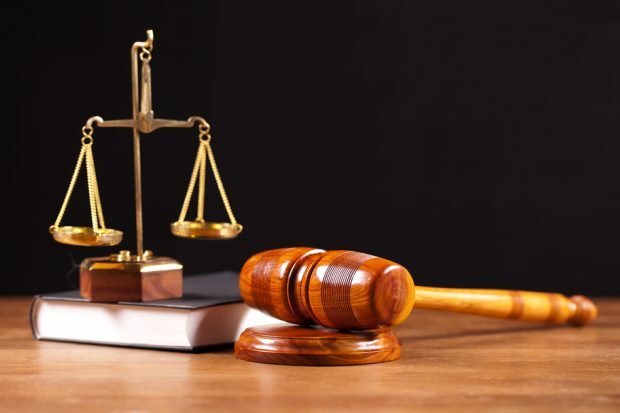 At the Curtis Sluder Law Firm, we have the experience garnered from daily representation of defendants for over 15 years, as well as experience from prosecuting cases for the State. We strive to master new laws and follow the appellate courts decisions as they relate to criminal, traffic, and impaired driving cases on a regular basis. We involve ourselves in routine Q&A sessions with other top attorneys across North Carolina on a regular basis to stay on top of the latest developments. We continue to build on our experience with DMV, law enforcement, the District Attorneys Office, our Honorable Judges, Magistrates, fellow attorneys, clerks, and other court officials and liasons to make our clients experiences as successful as possible. Traffic cases in Haywood County are usually scheduled for Friday MTV (Motor Vehicle) court, or Tuesday Traffic/Criminal court. We represent most traffic cases by written waiver, which means we inform you of the likely options for your case, possible outcomes, our plan of action in your case, and you allow us to go to court on your behalf, meaning you do not need to take a day off work in order to attend court to handle your traffic cases. This is especially important for persons who were ticketed while passing through western North Carolina, as well as residents with other obligations. Rest assured that your presence is not necessary, though, and if things do not go as we planned in court, we will continue the case and contact you about any new developments that may have arisen. Representation in traffic matters usually incur a fee from as little as $100, and we typically save you far more than that by preventing possible insurance increases. North Carolina uses two different point systems for Traffic Cases. Drivers license points, and Insurance points. Drivers license points are assessed for each traffic violation, and are tabulated by the NC DMV. When a driver accumulates 12 drivers license points in a 3 year period, The NC DMV suspends the license of the driver. After you get your license back, you can only have 8 points in three years or you lose your license again. When a driver has accumulated 7 points, they may be eligible for a DMV based “Driver Improvement Clinic” for a one time reduction of 3 points from their license. Insurance points are assessed based on convictions on the drivers official record, or accidents requiring the insurers attention. The points assessed are regulated by the North Carolina Safe Driver improvement Program (SDIP points) A more complete list of point assessment is located HERE. As an example, a speeding ticket for 80-65 would result in 4 SDIP insurance points. This results in an 80% increase in insurance rates. This increase is assessed each time your insurance renews, for three years. If you currently pay $300 every 6 months, after on ticket for 80-65, your insurance would increase to $540, or $240 more. This continues for the next 6 renewal periods for a total insurance increase of $1440. We can usually modify the charge you are convicted of to prevent the assessment of insurance points, drivers license points, or both, depending on the circumstances of each case and your record. For a legal fee as low as $100-200, you can save $1440 or more. 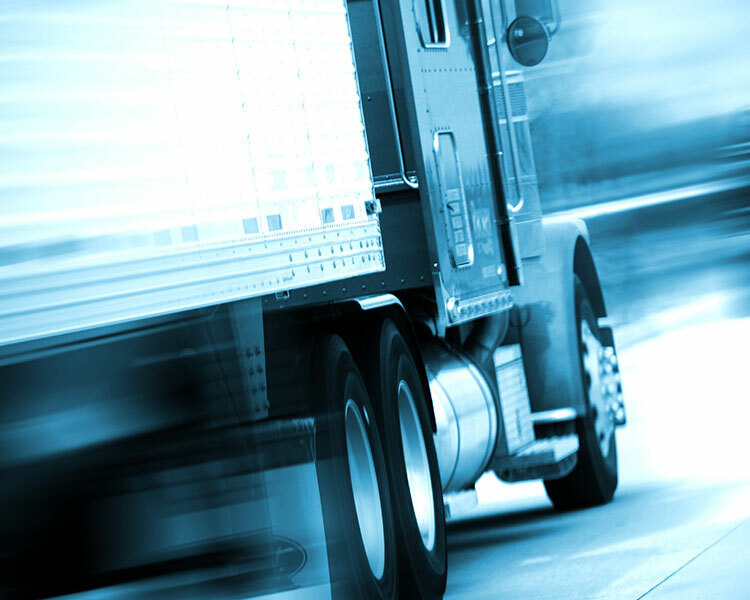 Commercial drivers, drivers who hold a CDL or drivers who are operating a commercial vehicle, often have special circumstances and more severe repercussions for traffic offenses. Many offenses carry double, or enhanced, drivers license points when operating a commercial vehicle. Some options available to non-CDL drivers may not be available to commercial drivers. And this is true of not only “Class A” CDL holders, but “Class B” CDL drivers as well. Commercial drivers also have to be concerned with their Federal CDL points, or CSA points. CSA points are assessed based on the original charges, so we make a special effort to secure dismissal whenever it is possible, and modification of charges when that is not possible. We understand how “major violations” harm a commercial driver more than a non CDL driver. We go to great lengths for every client, but understand the peculiar circumstances CDL drivers face. Although traffic charges are difficult to win at trial, we have tried successfully several CDL driver cases. Occasionally we can get permission to enter a not guilty plea and have a “trial by waiver”, but usually the defendant will need to be present in court for a trial. Non CDL Drivers are concerned with driver license points, of course, but we understand that the bottom line for most drivers is in the pocketbook- We go over all available options with each client, and try to find the best cost saving option to prevent insurance increases. Different options may be best suited to different clients, depending on their family, other drivers on the policy, prior record, and the amount of driving they do. If you have negative prior entries on your driving record, we may need to come up with creative options to keep you licensed and minimize your insurance. Our extensive experience in Haywood County representing traffic defendants is your best bet for keeping your insurance rates low. 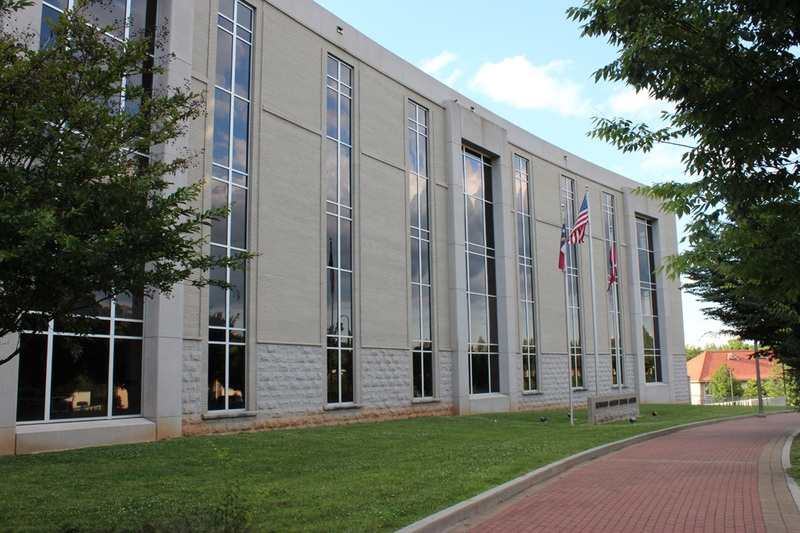 Typically, misdemeanor criminal cases in Haywood County are handled on the second floor of the Haywood county Justice Center, located at 215 N. Main Street in Waynesville, NC. Court days can be any date, but usually Canton PD cases are handled on one or two Mondays each month, Tuesdays are primarily Highway Patrol and Waynesville Police Department cases, Wednesday usually consists of Civilian witness cases, assaults, injury to property, domestic criminal trespass, assault on a female, and related cases. Thursdays can be a fill in date, often a different smattering of cases are handled on Thursday. Fridays are usually reserved for MTV (minor Traffic Violations), or Motor Vehicle court. Defendants should be in court by 9:00 for calendar call. The District Attorney is usually available to speak with unrepresented defendants before the calendar call. A district court criminal charge can be initiated by an arrest or by a citation. If the defendant is arrested, he is taken before the magistrate to have bond and other conditions of release set. Often, an unsecured bond or a small secured bond is set for misdemeanants. The defendant is given a court date if released on bond. If the defendant is taken into custody and cannot make bond, then they will be taken before a District Court Judge within a few days in order to appoint counsel or to schedule a bond hearing. Once this is done, they are given a new court date and afforded an opportunity to speak with a lawyer (who will often make a bond motion to reduce or unsecure the bond, so that the defendant can be released and better assist in defending their case. Once the court date arrives, the defendants lawyer may further investigate the case beyond what he was able to do prior to the court date, negotiate with the District Attorney, point out weaknesses in the states case, and try to arrive at an agreeable pleabargain. If no acceptable pleabargain can be had, then the case may be called for trial. A trial in district court begins with the District Attorney arraigning the defendant, or formally announcing the charge, and the defendant, through his or her attorney, entering a formal plea of not guilty. The state then begins to call the witnesses to the stand in order to testify against the defendant. This usually consists of law enforcement officers testimony, or victim testimony, but can include other relevant witnesses and expert testimony, such as laboratory analysts from the State Crime Lab. Once the State witnesses have testified, we get our opportunity to cross examine the witnesses- This is where we may try to pin them down to a specific account of the facts, question their ability to accurately observe the situation, secure testimony of investigatory methods they did NOT use, question their credibility in many cases, and discredit their original testimony where possible and useful. This process repeats for each state witness. Once the state feels they have presented their case adequately, the State “Rests”. If I feel the state has not adequately proven their case at this point, I make a motion to dismiss- that is, even if the Judge accepts everything testified to by the State Witnesses, the State has not adequately proven the case based on the law. If the judge grants my motion at this point, which is fairly rare, the case is dismissed. If not, we then call any witnesses we wish to testify on our behalf. The state, of course, gets the opportunity to cross examine those witnesses as we did earlier. Once all testimony has been heard, including any rebuttal witnesses or re-called witnesses, closing arguments are made before the Judge, and the Judge then issues his or her verdict. After the verdict has been entered, if it is guilty on any of the charges, then the case proceeds to the sentencing phase. For any jail-related questions or concerns, please contact the Jail office at 828-452-6670. Most commonly-asked jail questions will be answered by selecting the correct number from the menu. For visitation, call 828-452-6665. To find you if someone is in jail and their bond amount, call the Criminal Magistrate at 828-456-8191.